When pharmaceutical companies create new medications, they often need empty gel capsules in which they can provide the appropriate dosage to patients. 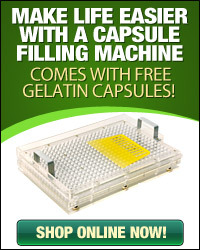 Most of these companies don’t create their own empty gelatin capsules; they only fill them with their medications. Capsule Depot takes great pride in offering pill capsules that are empty and allow pharmaceutical companies to find the options they need to fulfill their orders. While some medications aren’t something people really need to see, some pharmaceutical companies like to make their drugs in varying colors to help them stand apart from their competitors or even other medications. 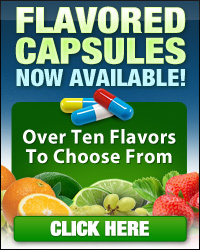 This helps those who are taking multiple medications to differentiate the right pills to take at the right time. Clear gelatin capsules allow the colors of the internal medication to show through so patients know what they are taking. Empty gelatin capsules come in a variety of sizes so pharmaceutical companies can choose the best option for their patient’s needs. Small empty gel capsules are ideal for smaller doses, as well as for creating medications for children or those who have difficulty swallowing pills. 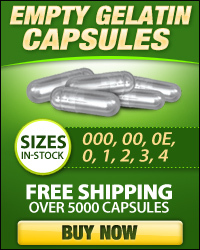 Our pill capsules are empty and ready to be filled by your pharmaceutical company. 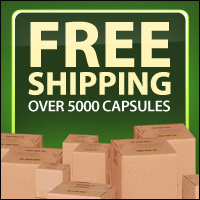 We allow you to buy your empty capsules in bulk so you can fill all your orders and keep your prices as low as possible to make your medication more affordable for patients.